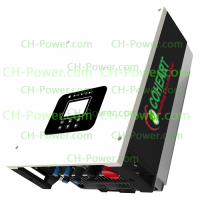 On Grid or called Grid Tied Grid connect solar inverter convert solar DC power to normal AC ..
3rd generation MPPT Solar Charge Controller 20A 12V 24V 48V is with real MPPT(Max power point tracki.. 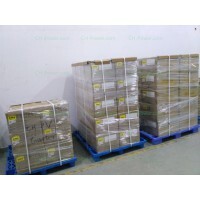 Recently, we shipped 100pcs 5kw on-Grid solar inverters to Americas for L-L 220Vac Grid connections! 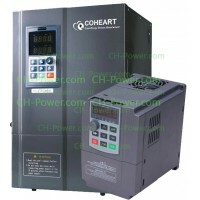 With years sampling,testing and help from Brazil/Mexico/Chile/Peru customers, we solved problems caused by differences between Americas L-L power Grid and L-N 220Vac electricity Grid, for long time stable high-efficient Grid-connection working! 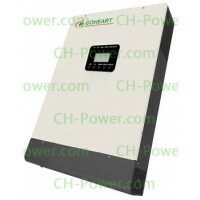 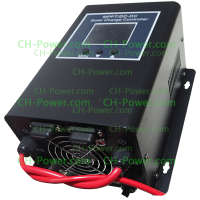 As well as some 1phase 120Vac 2KW-4KW&3phase 240Vac 10KW-30KW inverters.